Awards: Won 3 Oscars. Another 27 wins & 20 nominations. 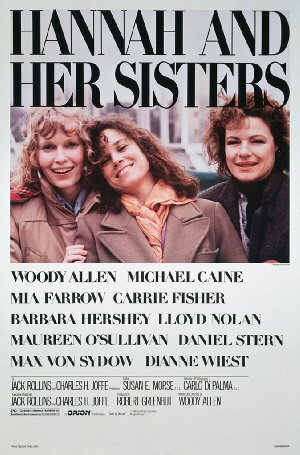 In 1986, at a Manhattan Thanksgiving Day family gathering, we meet the three daughters of two former actors, now demanding alcoholics. The sisters are Lee, a reformed alcoholic who lives with a controlling older artist, Frederick; Holly, an insecure former substance abuser, who tries to emulate the acting ambitions of her older sister; and Hannah, the confident actress, perfect wife, mother, sister, and daughter. Things begin to slide when Hannah's husband, Elliot, falls in love with his siste-in-law, Lee, and Hannah doesn't understand what's happening. Then Holly comes through a deep crisis and dates Mickey, Hannah's first husband.